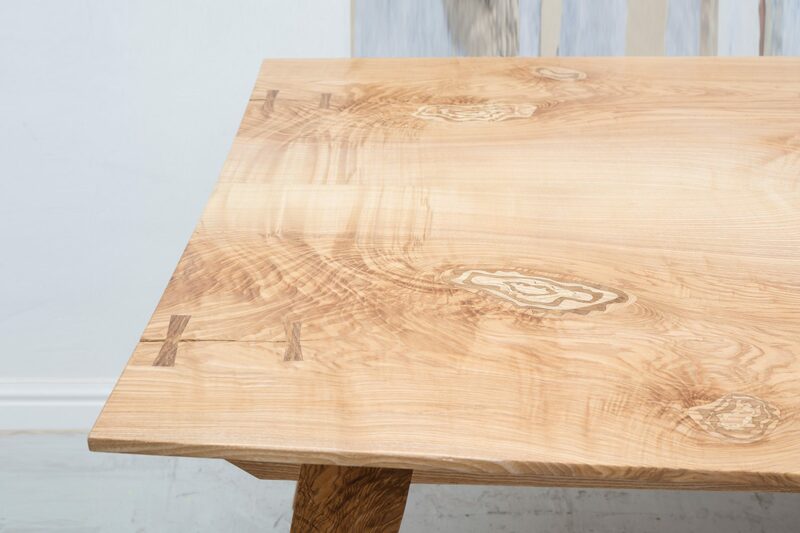 The surface is a beautiful caramel colour made from book-matched olive ash. 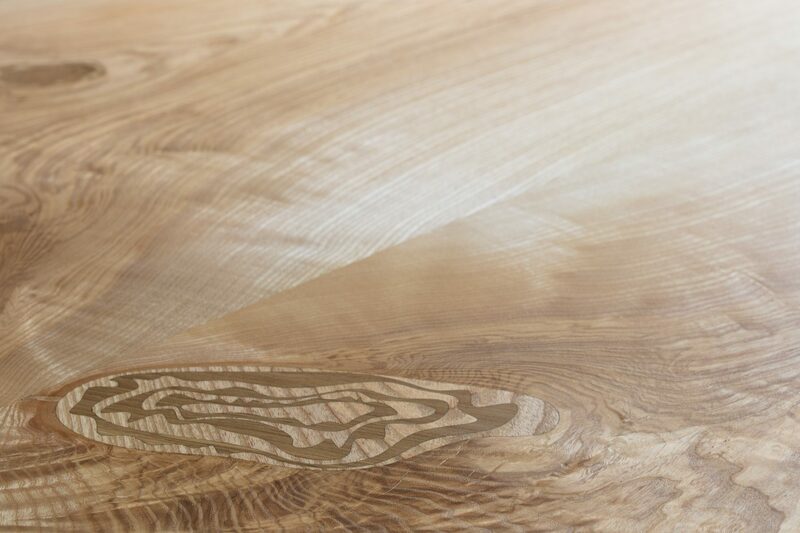 Its stunning swirling grain has occasional marquetry, reinterpreting some of the defects. 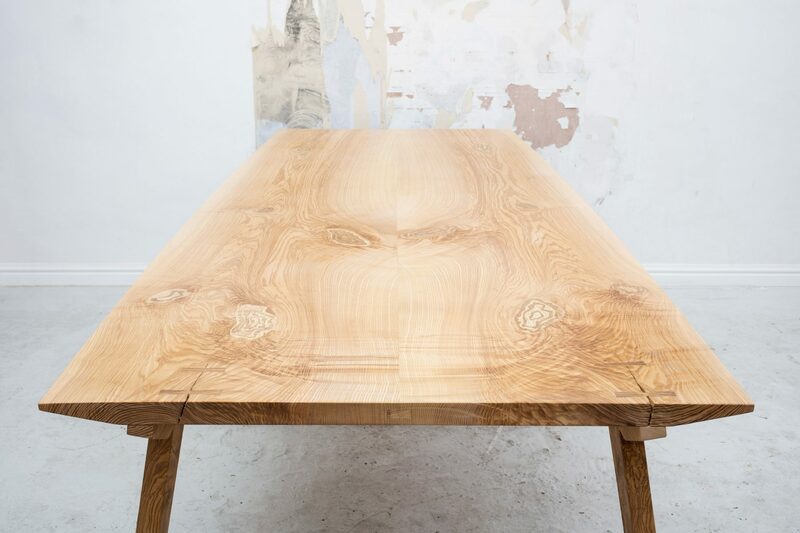 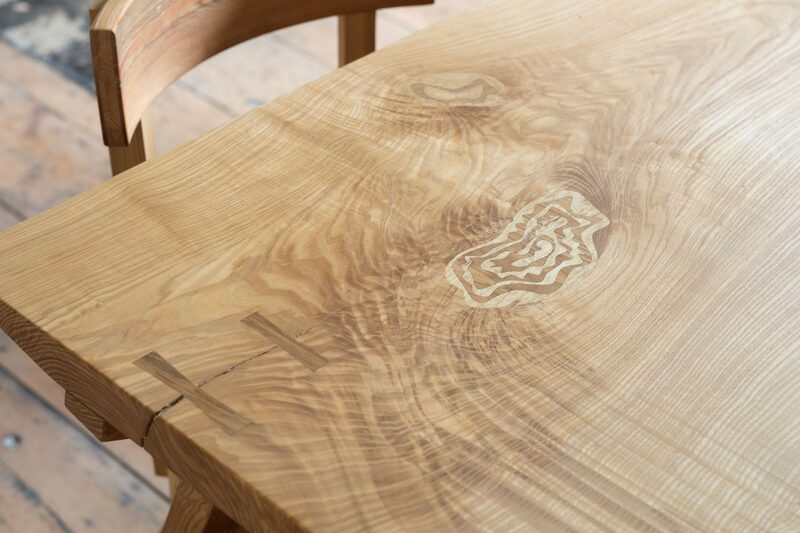 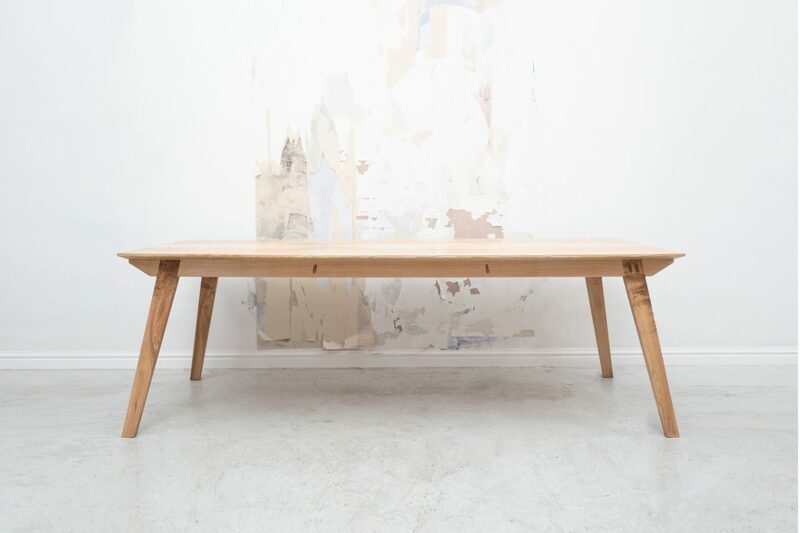 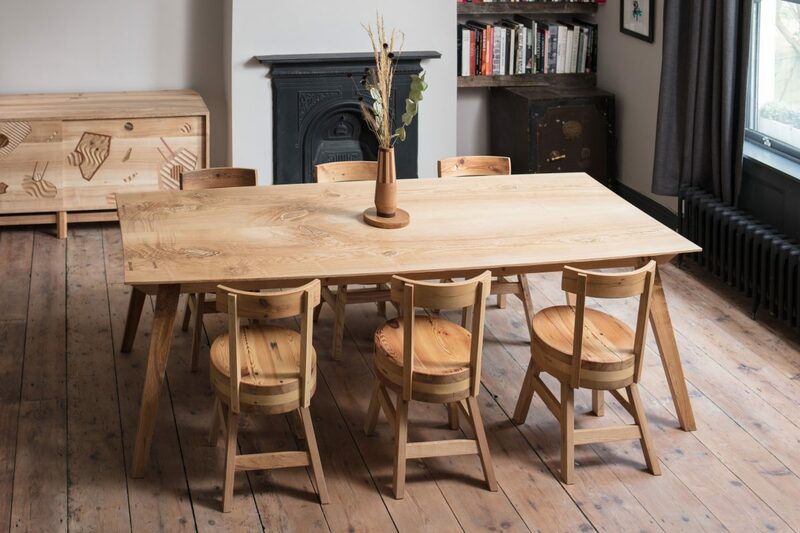 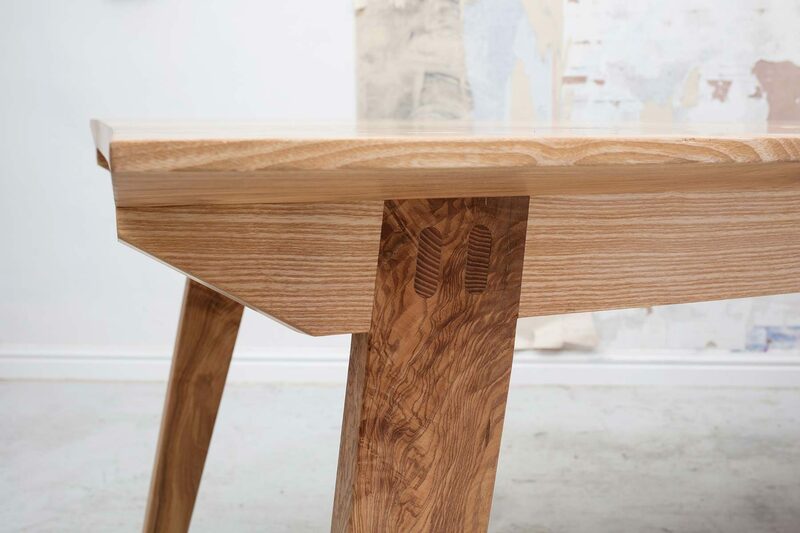 Compound through-tennon joinery and a gentle curve gives the table a relaxed, informal presence. 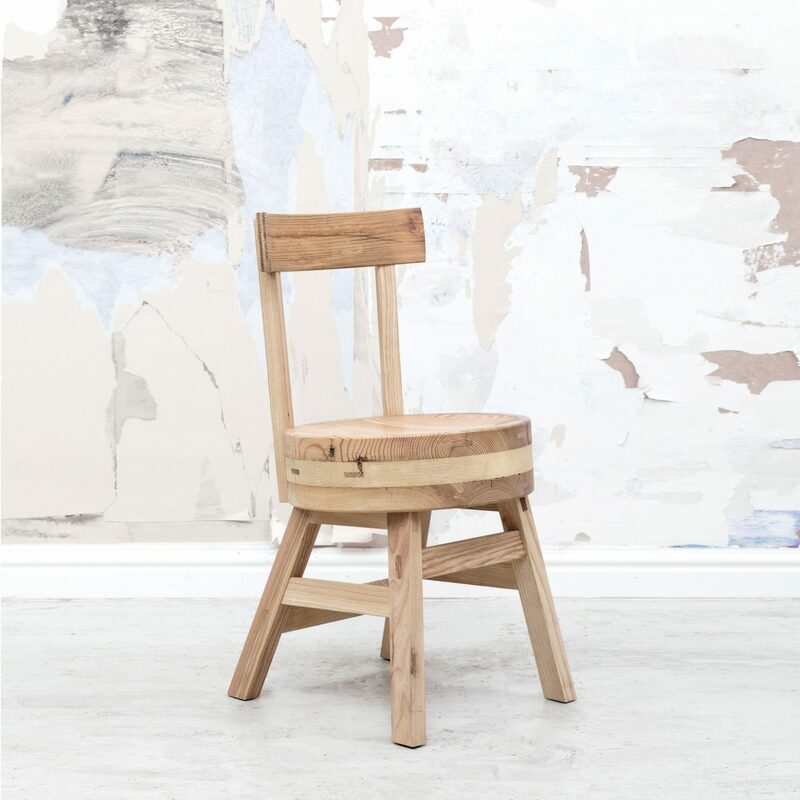 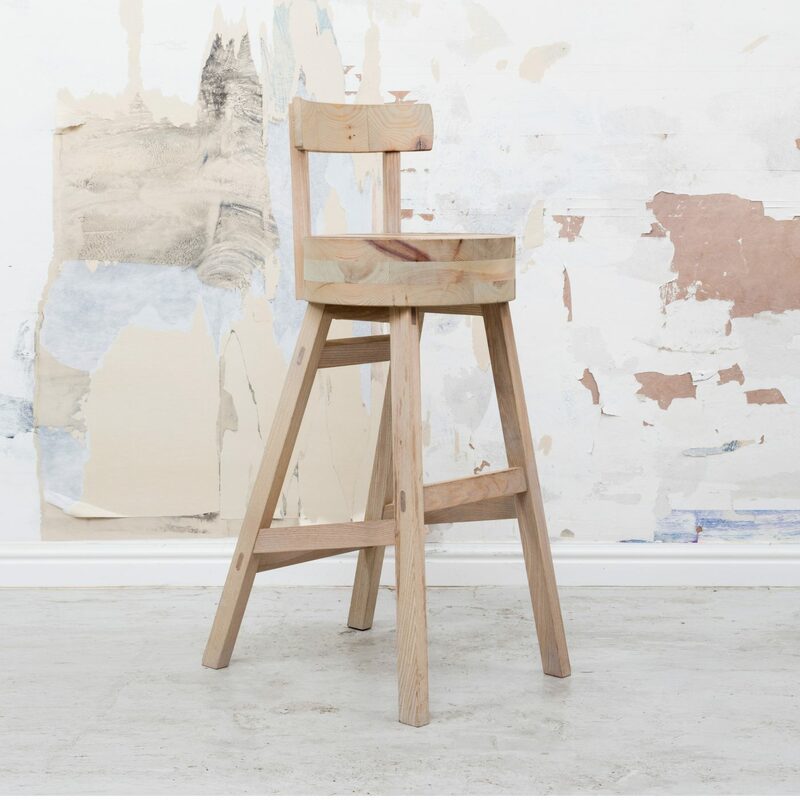 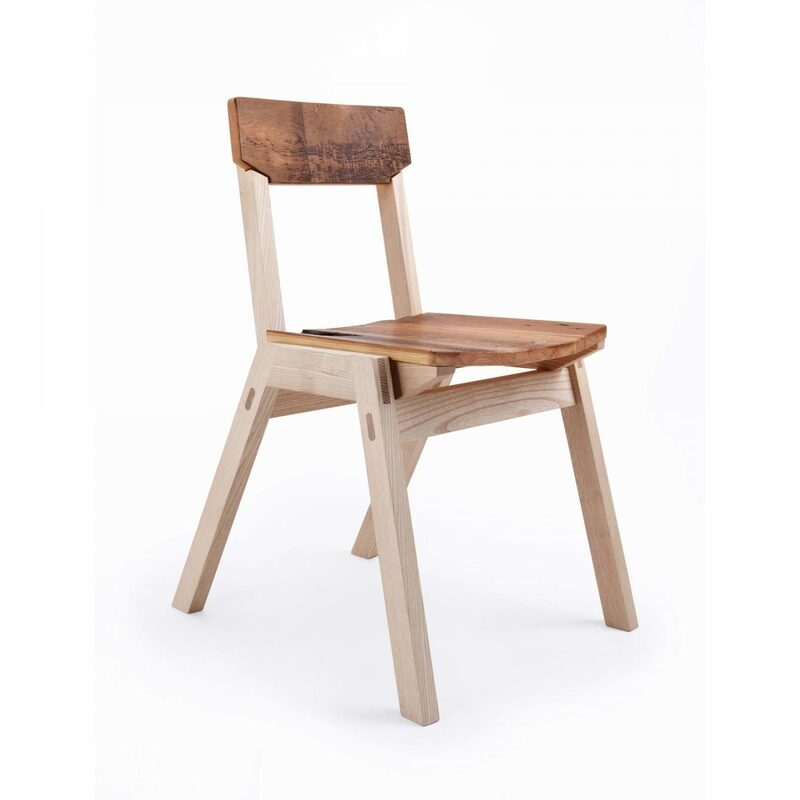 A fine companion to our stacking chairs.